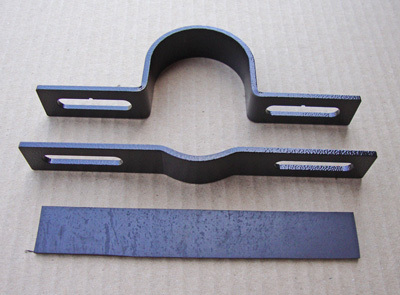 THIS 2-INCH DIAMETER STEEL BRACKET SET HOLDS THE COLUMN UNDER THE DASH OF FJ40 and FJ45 TOYOTA LAND CRUISERS. 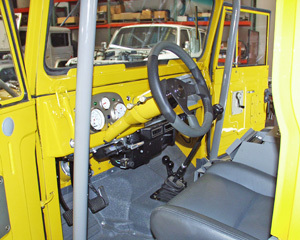 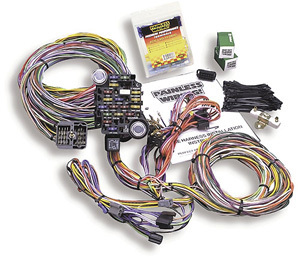 THIS IS NEEDED WHEN CHANGING TO A GM TYPE STEERING COLUMN AS THE DIAMETER IS LARGER THAN THE STOCK LAND CRUISER COLUMN. 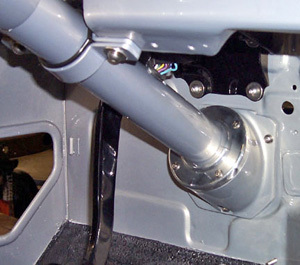 A RUBBER GASKET BETWEEN THE MOUNTING BRACKETS HOLDS THE COLUMN IN PLACE AT THE DASH.